As celebrity couples go – we were NOT expecting this one from Caroline Flack. 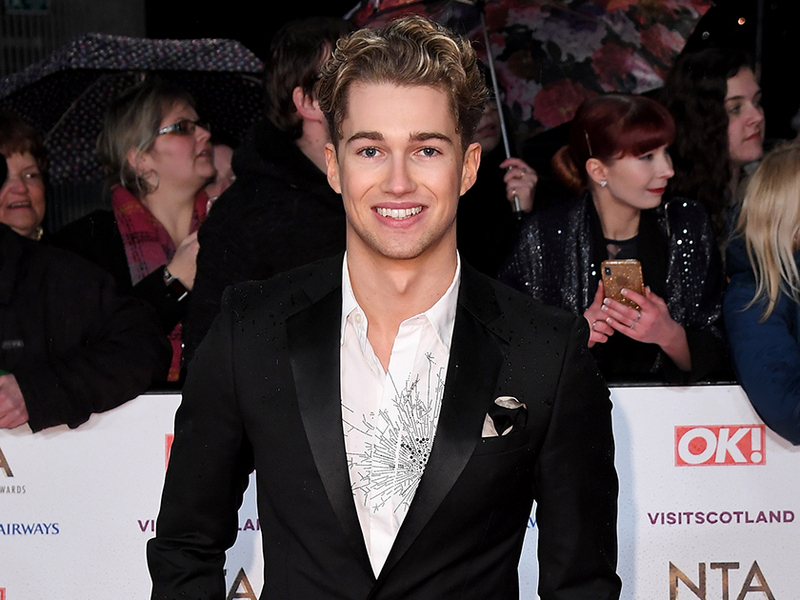 After recently calling things quits with fiancé Andrew Brady, the Love Island host has now been caught flirting up a storm with Strictly Come Dancing star AJ Pritchard. The pair both attended the National Television Awards last night and were reportedly spotted getting very cosy at the after party. So cosy in fact, that they allegedly ended up snogging in a quiet corner of the bash at London’s O2 Arena. ‘Caroline and AJ were the talk of the party,’ an onlooker said. The source added: ‘They had plenty of chemistry and were acting like a proper couple.’ Ooo la la. But it looks like Caroline, 39, has had her eye on the 24-year-old for a while now, regularly Tweeting that he was her ‘favourite’ on Strictly. If that wasn’t enough proof, another one of her tweets said she ‘loves’ him and his former dance partner Mollie King along with a big red heart emoji. This comes after Caz recently jetted to Thailand to try and move on from ex Andrew following their turbulent romance last year. And proving she’s officially over the split, the telly presenter revealed she’s almost completely removed the ‘AB’ tattoo she had dedicated to him on her wrist. Arriving on the NTAs red carpet – looking AMAZING in an orange playsuit – all that remained on her wrist was an illustration of two love hearts overlapping. It looks like it’s onwards and upwards for Caroline!